What options are emerging to finance health reform ventures? With an expanding menu of financing options, leaders possessing greater fiscal fluency may be able to better manage a mosaic of mechanisms and deliver more dependable resources for both short- and long-term investments. 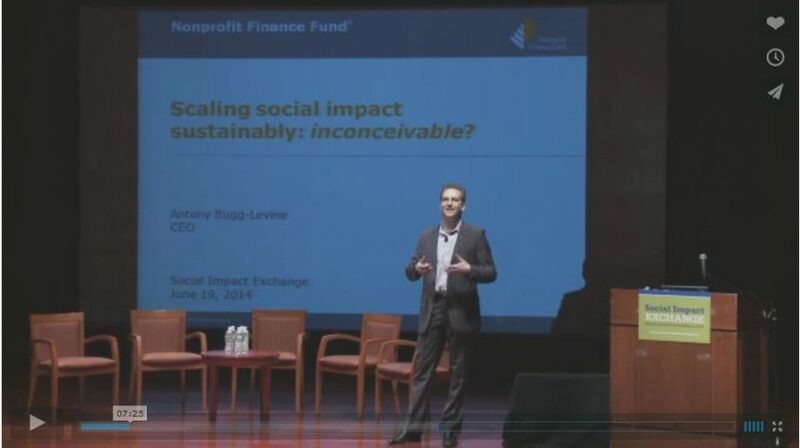 Because there are well-known perils in relying too much on conventional funding vehicles (like grants, contracts, donations, and in-kind services), more and more leaders are experimenting with new ways to secure sustainable financing for their action agenda, as well as for their own collaborative infrastructure. Below are several financing options that deserve greater attention. These have been selected because each one is rapidly evolving and has the potential to channel resources in new ways across the health landscape. The sections below provide short summaries along with related links to keep up to date with changes as these frontiers evolve. 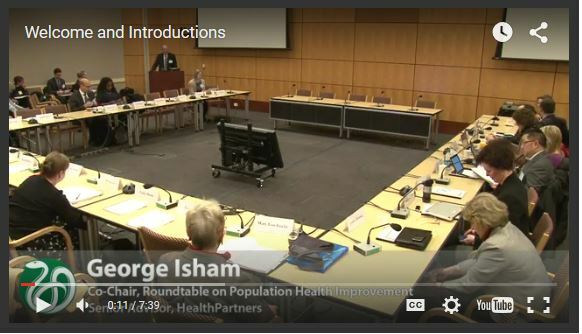 Of course, no single approach will be sufficient; therefore, local stewards may strive to develop a more diverse mix that will sustain critical investments in regional health priorities. Of course, there is far more to consider than merely identifying or mixing together the right funding mechanisms. The details of the strategy to be financed matter–as well as who makes the decisions. For it is decisionmakers’ values, mental models, and morals that ultimately shape how funding flows over time. Particular individuals and institutions will have either a narrow view of their own self-interests, which can often be divisive; or they may have a more expansive view, understanding that their interests are bound with those of fellow constituents. Furthermore, investments that occur in a dynamic system must be flexible enough to adjust to changing circumstances. For instance, if an initial deal delivers its results, the story must not stop there. Instead, there ought to be an open negotiation (ideally, well in advance) about what to do next, complete with a serious critique about who should be involved. We created the ReThink Health Dynamics Model to better equip those who want to play out precisely these kinds of cascading, interdependent financing scenarios. Finally, prudent planners must consider how shifts in the health sector may affect other sectors and vice versa (either positively or negatively). And there may be implications for the wider economy in the region and beyond. Too many past reforms have been diluted or defeated by failing to see how health is closely coupled with other parts of our political economy. Examining these dimensions quickly raises questions about whether there are clear principles, policies, and practices to shape a definite economic transition over time. Establishing a culture in which health is a shared value and resources match stated priorities will entail a considerable break from business as usual. The next section features a growing list of practical movements that strive to reshape regional economics, and even to rethink economics writ large. Transitioning from a traditional fee-for-service reimbursement structure toward a value-based payment structure is one of the largest challenges healthcare systems face. Payment reform is essential to aligning healthcare delivery with the triple aim imperatives. But a variety of barriers stand in the way of full transition from fee-for-service, and all across the country healthcare systems are attempting a wide array of approaches to solve these challenges. In an era when high healthcare costs are expected to rise even higher, new opportunities have emerged to make money by saving money. Most insurers—including Medicare, Medicaid, and commercial carriers—now offer arrangements where they agree to share a portion of any healthcare costs that fall below a designated benchmark, as long as specific care quality standards are met. The exact nature of each negotiation may vary: some deals provide only an upside incentive when costs decline, whereas others also carry downside risk if costs continue to escalate. Likewise, the fraction retained by the insurer and the fraction returned to other parties can vary, but often reflect a 50/50 split. In the case of a self-insured employer, 100% of any savings could be reinvested to sustain to or expand the strategy. Across the country, many billions of dollars have been saved and paid back to those who have signed on to these entrepreneurial plans. In their narrowest form, such deals are made between an insurer and a healthcare provider or a group of providers (such as an accountable care organization or ACO). Medicaid 1115 waivers, including activities under the Delivery System Reform Incentive Payment (DSRIP) Program, are negotiated at the state level. There are no inherent limits, however, on the number or scope of parties that could have a financial stake in such an effort. Indeed, there have been many prominent proposals to expand the ACO framework to a larger set of social service providers and population health agencies who also have a strong influence on improving health, enhancing care, and lowering costs. There are many synonyms for this more expansive form of shared savings agreement, such as an accountable care community, accountable health community, etc. Almost two-thirds of hospitals in the U.S. are non-profit. In exchange for their tax-exempt status and other benefits, non-profit hospitals must provide community benefits and allocate additional funds for this purpose. As part of this arrangement, non-profit hospitals are required to conduct community health needs assessments (CHNAs). CHNAs are used to document a strategy to address community health needs and to track impact related to the strategy. Hospital community benefit funds that involve the community at all levels of programming and provide targeted funding to populations with the highest needs have the potential to truly transform the health of their communities. Financing directed at community development impacts a range of health outcomes and economic development measures in a region. Core providers of such lending are community development financial institutions (CDFIs). CDFIs play a critical role in community wealth building, sometimes serving as a backbone organization to assemble capital from a variety of sources to meet a range of community needs. By taking additional risk to lend and finance efforts that serve community needs, such institutions provide an important component to a region’s overall change strategy. As healthcare transformation works to align its efforts with a broader upstream prevention strategy, community development financing is an important mechanism to combine with other forms of funding. Impact investments are investments made into companies, organizations, and funds with the intention of generating measurable social impact alongside a financial return. There are a variety of structures gaining momentum, from specific arrangements like social impact bonds (SIBs) to broader umbrellas such as pay for success (PFS). Across the variety of approaches, they all share the search to align market investments and regional health priorities into a combined approach. Prevention and wellness trusts are funding pools raised and set aside specifically to finance interventions to improve the health outcomes of specific populations. As wellness trusts strategically allocate funds to coordinate prevention efforts, they have the potential to enable collective impact in upstream investments.